In this week’s Law Firm Disrupted, we look at the number of clients who use alternative legal providers and ask a simple question: Will there come a point where they will no longer be considered alternatives? I’m Roy Strom, the author of this weekly briefing on changes in the legal market. You can reach me here: rstrom@alm.com. Or, alternatively, here: @RoyWStrom. Will ‘Alternative’ Providers Ever Go Mainstream? Many people don’t even like the name Alternative Legal Service Providers. It is a mouthful. And ALSP is, IMHO, even worse. So let me start with an apology, which is what people who don’t like that name may end up wanting out of this column. Instead of the acronym, I’m going to use the term alternative providers. Apologies to those who may be offended. But I’m doing it for the sake of a simple question that is crucial to the business of alternative providers: When will they not be alternatives? When will a large mass of corporate clients engage these companies to handle large portions of their work? Anyway, it is a topic worth revisiting in the wake of the big news this week: Ernst & Young’s acquisition of a 100-employee alternative provider, Riverview Law. One basic reason the acquisition garnered so much attention, I’d argue, is the idea that a Big Four accounting firm could supercharge the adoption of the types of services that Riverview sells. 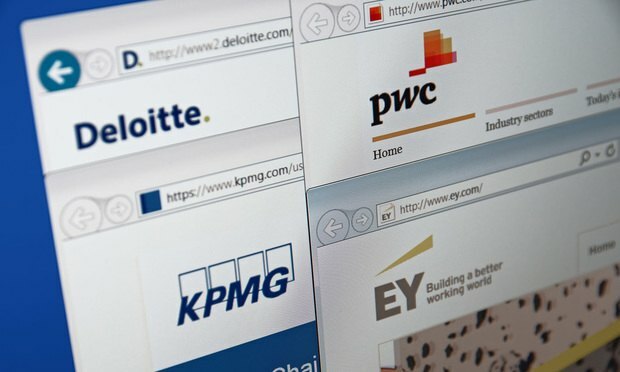 The basic business argument for EY’s acquisition is relatively straightforward: With its 2,200 lawyers, list of near-countless corporate clients and its massive balance sheet, the accounting giant is perhaps the best positioned company to convince legal departments that it can efficiently handle wide swathes of their basic needs. Those might include contract management, intellectual property counsel, immigration issues and other process-based matters. There is still a large amount of convincing to do. That is seen in a survey of 156 in-house departments released last November by CLOC, a group whose efforts to redefine the delivery of legal services I wrote about earlier this year. The CLOC survey showed that contract management systems and alternative providers had a long way to go before they are considered mainstream. Nearly half the respondents (46 percent) didn’t even use a contract management system. And nearly two-thirds didn’t spend any money on alternative providers. The two alternative providers that were most frequently hired by those respondents were Elevate Services Inc. (9 percent) and Axiom Global Inc. (8.3 percent). Sure, they are called “New Law” for a reason. You have to start somewhere. But change in the legal industry is slow. And it is important to understand the purchasing decision clients now face as they contemplate hiring the likes of EY Riverview Law. Much of the work alternative providers will do likely is taken off the plate of in-house lawyers. And in-house lawyers have arguably been the most disruptive force in the legal market for the past decade or more. Are clients ready to switch their investment from their own employees to alternative providers? Helpful in answering that question is an in-depth article that Hugh Simons and Gina Passarella wrote for The American Lawyer in February. 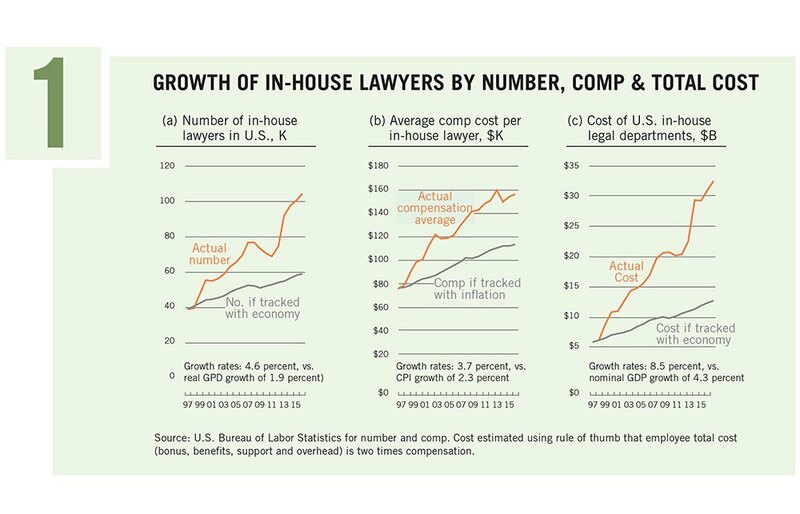 The article showed that in-house lawyers grew at a pace four times faster than law firm lawyers from 2000 to 2007, before accelerating to six times faster between 2007 and 2016. That growth has come with significant costs to companies: In-house department salaries and wages accounted for $33 billion in spending in 2016, according to the story. That cost has grown at an annual rate of 8.5 percent, a surge that Simons and Passarella say smart managers should look to limit. From the story’s summation on how alternatives should attack the market: The winning outsourced provider strategy is not for the faint of heart. It rests on the principle that service providers will ultimately win by being less expensive than competitors and that the way to such a low-cost position is to accumulate as much experience, and build as much scale, as quickly as possible. This translates to pricing very aggressively, using long-term contracts priced below today’s costs, to bring in sufficient business volume so that your costs will eventually decline. It sounds something like the ambitions expressed this week by EY: Investing in Riverview’s people and technology to bring the alternative model to scale as quickly as possible. I asked the question, so I’ll take a stab at an answer. I don’t think there will be a revolution that ushers alternative providers into the mainstream over the course of a few years. I think the buildup of their business will occur over a timespan similar to that of in-house lawyers. It will require well-capitalized businesses that are willing to spend the time and money convincing law departments that they’re worth it. And the next CLOC survey should tell us a lot about how that’s going. More on EY-Riverview: Here is a list of stories about a transaction it seems like everyone was talking about this week. · For ALM, Hannah Roberts covered the nuts and bolts of the deal and DLA Piper’s sale of its stake in Riverview, while Nick Bruch took a look at what it might mean for accelerating the pace of change in the legal services industry. · Legal Business writes that the deal puts Riverview “into the mainstream,” while estimating the company’s revenue at £10 million (about $12.8 million today). And here is a story I wrote about an American Bar Association analysis of women in large law firms that discusses how they experience Big Law life much differently than men, and especially managing partners. That’s it for this week! Thanks again for reading, and please feel free to reach out to me at rstrom@alm.com. Sign up here to receive The Law Firm Disrupted as a weekly email. Who Were the 10 Highest-Paid Female GCs in 2017?